What Will Your Life in Retirement Be About? Your Outlook Matters. Are you in in the retirement homestretch from your primary career with that magic day less than a year away? Preparing for this transition takes a lot of planning both on the financial and non-financial side. I remember when I was a kid and we had running races in the neighborhood. Recalling three key words from that time resonates today as we face this next part of our life journey. Remember: READY, SET, GO? Funny how those words had a way of creating focus. Think hard about what you will miss most from work (besides the paycheck). Will it be the status your job gave you, the social connections you made at work, the structure that work gave your life or the sense of purpose you got from your job? Perhaps all of the above. This requires some reflection but is well worth doing as it can help you discover what is most important for your “second act”. TIP: Make a list and be specific about what you will miss in each of these areas. Rank them from high to low. This will help you filter the “second act” opportunities you uncover. 2. Frame your current expectation of what a “second act” might look like. Creating a vision for what you might like to do is a great exercise. Why do you want to continue to work? This is a fundamental question to help connect to a purpose for your “second act”. What type of work will you find fulfilling? This will naturally follow from the WHY. Who or what types of people/organizations do you want to work with? This can help align with your WHY and WHAT. Researching your network connections. Who might be able to offer advice or guidance for the “second act” you are interested in? TIP: Remember to focus on asking for advice or ideas on how to take the next steps. Good network connections are likely to support your journey. 2. If you are thinking of a entering something brand new then you will need to research organizations you would like to approach. TIP: Visiting with organizations or speaking to people in the new field of interest can be enlightening. 3. If you are thinking about starting your own business – create a list of things you know and don’t know about how to go about this. TIP: Talking to your accountant, attorney or friend that has gone this route is always a good step as are the resources at sba.gov. Getting you “in the game” and building confidence. Improving your knowledge. Just talking to your network or exploring new paths will open up doors and give you further insights as to other actions. Tip: If your actions are multiple, break them into smaller pieces. Start with 1 or 2 things that you will commit to, and, go do them. This will help you build an “action habit”. 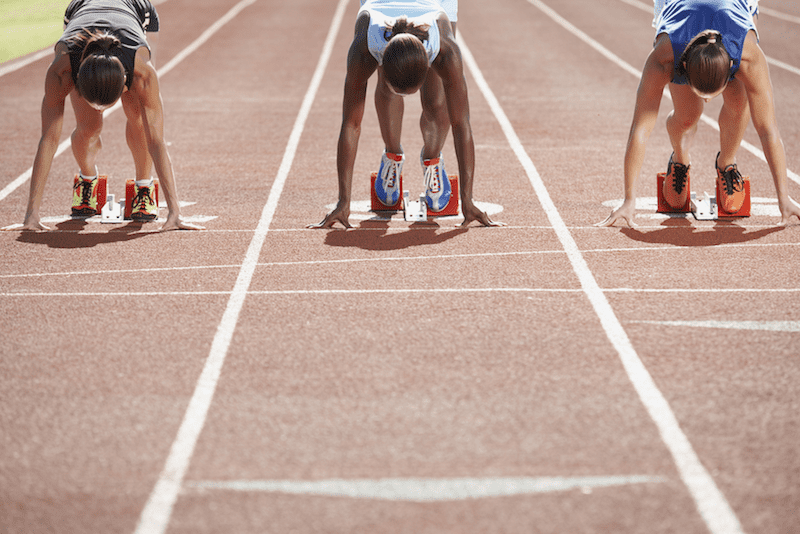 READY, SET, GO can greatly reduce the fear factor and inertia in approaching your second act. Ok – remember when you were on the starting line for the race you were going to run when you were a kid – when you actually RAN it, the apprehension turned into pure physical energy. Whatever the result – you DID IT, you ran the race! How did you feel? My bet is that you felt pretty good. Practicing this same approach in exploring your “second act” can energize you in many ways and keep you moving forward. GO!